Tomorrow is the BIG Turkey day around here, so today I am already starting to cook. 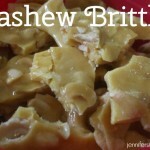 I have desserts to prepare, casseroles to make and get ready for the oven tomorrow, and birds to thaw. My day is SO busy — but I couldn’t let this day pass without sharing with you my yummy Green Bean Casserole recipe. Now — I have tasted a TON of green bean casseroles in my life, and to me what makes this casserole is the topping. Not the sauce. Not the beans that you use, but that crunchy onion topping. 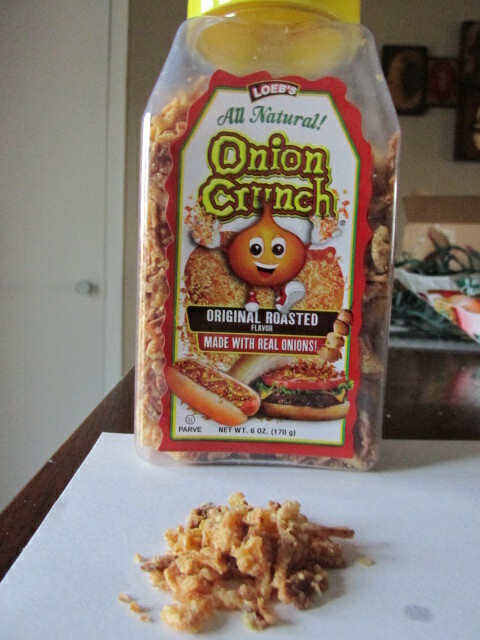 I have used all different kinds in the past, but my favorite will always be Onion Crunch. 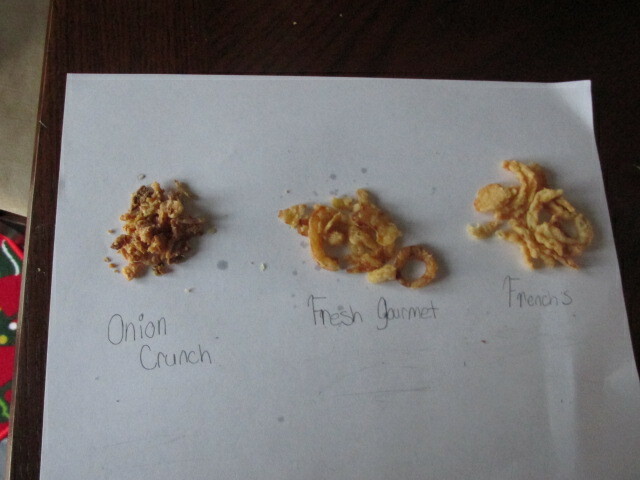 Before making our green bean casserole, my daughter — who is the ultimate crispy onion expert in our family — decided to do a taste test with three very well known brands. In her own words, she told me that not only is the Onion Crunch brand crispier than the others, but she also said it is not greasy. 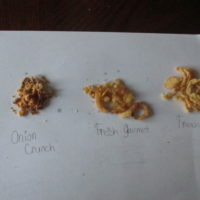 The other two left a greasy feeling in her mouth, but the Onion Crunch brand was crispy, tasty, and really fresh. 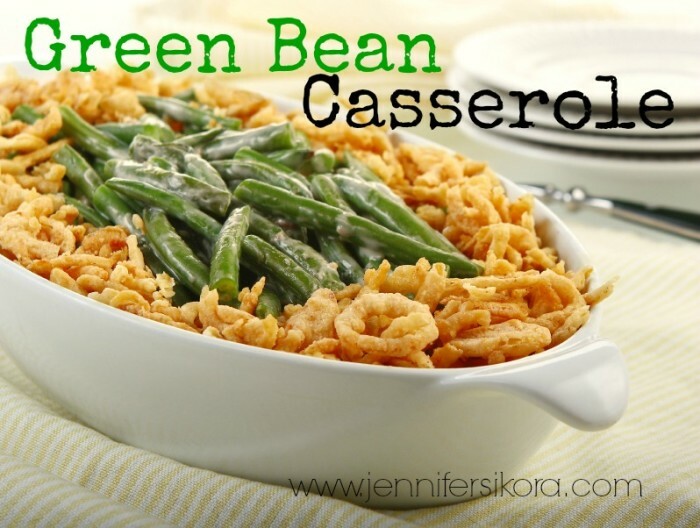 So — here is my yummy recipe for the Green Bean Casserole topped with the yummy Onion Crunch topping. Preheat oven to 425 degrees F. Fill a large bowl with ice water. Bring 4 quarts of water to a boil in a large pot or Dutch oven. Add 2 tablespoons salt and beans. Cook beans until bright green and crisp-tender, about 6 minutes. Drain beans in colander and immediately put beans into ice water to stop cooking. Lay beans out on a towel to dry. Add butter to the empty pot and melt over medium-high heat. Add mushrooms, garlic, ¾ teaspoon salt, and 1/8 teaspoon pepper; cook until mushrooms release moisture and liquid evaporates, about 6 minutes. Add green beans to sauce and stir until evenly coated. 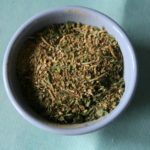 Arrange in an even layer in 3-quart (or 9x13-inch) baking dish. 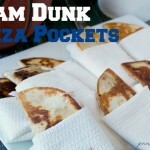 Sprinkle with topping and bake until top is golden brown and sauce is bubbling around edges, about 15 minutes. Serve immediately. 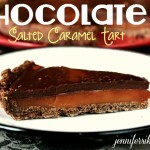 I adapted this recipe from The Brown Eyed Baker. 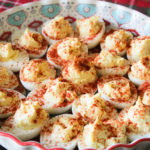 Her recipe is SO spot on — and homemade. OH MY WORD!